We are looking to employ a Post Processor Engineer for our EDGECAM range of products to work as part of the UK Service Support Team. Our Support Team deliver excellent customer service levels by providing quality technical support whilst promoting good practice in relation to technical issues using relevant industry knowledge. The role will primarily involve the creation of post-processors for EDGECAM customers where you will be responsible for collecting customer specifications, developing, delivering and maintaining post-processors. You will be required to deliver on-site consultancy and other on-site customer services as well as support the UK & International Sales Teams if necessary. Therefore you must be willing to travel occasionally both within the UK as well as internationally to meet business needs. 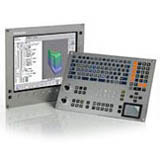 A background in computer aided manufacturing in the metal working industry is essential. 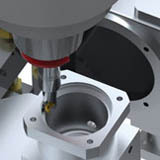 You must have a working knowledge of EDGECAM or similar CAM Software. Applicants should be competent in CNC programming with experience of several different popular CNC controllers (TNC/Fanuc/Siemens). Experience of both milling, turning (esp. 5 Axis Simultaneous & Mill/Turn) either through CAM or machine operation will be a distinct advantage. Previous experience of Visual Basic (VB6, .Net, VBA) and Visual C++ will give you a distinct advantage. You must be able to demonstrate excellent interpersonal skills as the successful candidate will need to be able to communicate with people from all levels and a variety of backgrounds. Microsoft Windows/Office experience is essential and interviewees should expect to demonstrate their competence. Education should be a higher diploma/Degree in an engineering related discipline. Product training will be given in all areas of the EDGECAM brand and the role is expected to mature to encompass developing customised CAM solutions for customers. In addition to an attractive salary, we offer good working conditions, 25 days annual holiday, contributory Pension Scheme, Private Healthcare and Life Assurance.